As mentioned in my Charles Fox post on Wednesday, I picked this up there for a bargainous £12.05. I’d wanted to try Kryolan’s foundations for a while, and I’m not sure why but always assumed they’d be quite a bit more expensive. But at just 6p more than Revlon Colorstay, for the same amount of product, I wasn’t afraid to try this one out on a whim. The colour I got is Alabaster – told you I’m pale. 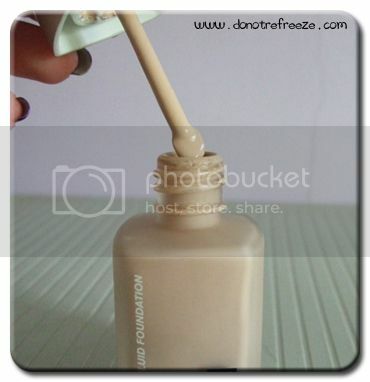 The foundation comes in a sturdy square glass bottle with a screw top lid, and inside the lid lives a spatula like you normally get in testers and samples. Although I actually find this quite useful, as since it’s just in a screw top bottle I’d rather have a plastic spatula than nothing at all and have to pour a bit out to use it (a la Colorstay). I actually dab the spatula over my face and buff the product in using an ELF Studio flat top powder brush. Coverage? Fantastic. 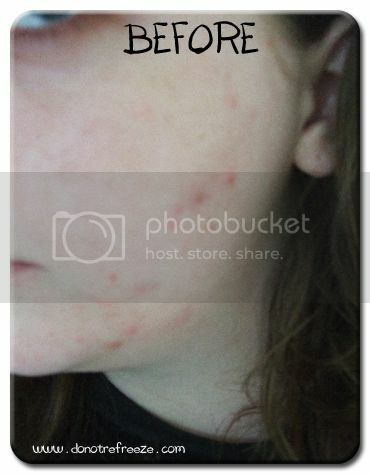 I have nasty, temperamental oily teenage skin which is prone to hideous, red breakouts. Despite this, I hate the feel and often cakey look of full coverage foundations – in fact I don’t usually ever wear foundation without mixing it with an equal amount of moisturiser. 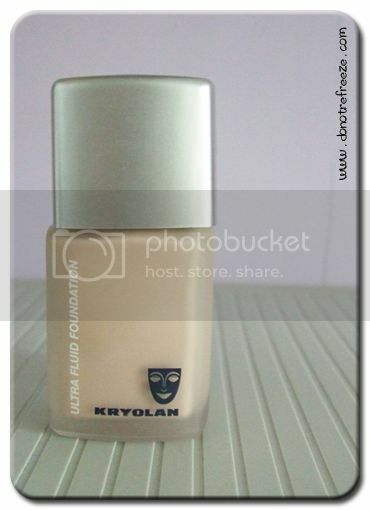 But Kryolan Ultra Fluid gives amazing coverage without looking or feeling at all mask-like. I don’t have to mix this with moisturiser, and it doesn’t even feel like I’m wearing anything. Pretty scary, right? A thin layer of Kryolan Ultra Fluid later, and I’ve even negated the need for concealer (which is great, because I’ve never found a concealer that doesn’t enhance my spots rather than hide them). Coming from a theatrical brand that is often used in film and TV under scrutiny of cameras, you’d expect this to deliver opaque coverage without looking like you’re wearing a mask. And it delivers! It doesn’t remain tacky like some foundations do, it’s fine within a minute or so. Even when dry, it affords a dewy finish to the skin, which I like but since I’m oily I have no choice but to set with a powder (I’ve been using Ben Nye’s Neutral Set). It’s great for my oily skin, and I know it would be great for combination/normal skin too. I have no reason to suspect it wouldn’t be any good for dry skins, either, as it doesn’t feel tight or drying. The foundation lasts absolutely all day, but is easy to remove of an evening. In short, I may well have found my new HG, or at least a definite repurchase. :: None, so far as I can see! Basically, if you have access to this product, you should definitely give it a shot. There are plenty of places that stock Kryolan online but shipping can often get expensive. Rhinestones are a girl’s best friend! jesus christ, this is ace! i am going to need to buy some of that. now for the shade to choose, havent got a clue! 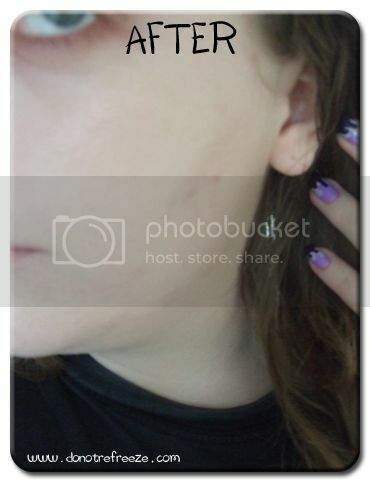 @Liloo: Yeah that’s the only problem with buying online, the swatches on the Kryolan website are awful so you could end up with totally the wrong shade! @Beth: Haha, yay! I’d say it’s fine for everyday wear, been wearing it every day for a couple of weeks now and haven’t seen any negative effects on my skin or anything :) and my skin is reasonably prone to breakouts so that’s quite a good sign! I’ve been using this for years for stage shows and photoshoots – alabaster is probably my most used shade! Kryolan foundations are generally fantastic, I love the creme ones but they’re quite a bit heavier. @Beauty’s Bad Habit: Isn’t it brilliant :) glad to see someone else who loves it! I had a play about with the creme ones when I bought this but thought they might be a little bit heavy duty for me, looks like I made the right judgement! @Becky: Google for Kryolan stockists in your area, and if there are none then there’s plenty of places to buy online! I wouldn’t recommend buying foundations online though in case you end up with the wrong colour, but Kryolan have an AMAZING range of eye and cheek products you could try! @Kim: YESSS you NEED to come back down to Landan at some point, I need a day out with you and Zoe in my life! Wow, it looks amazing. I’ve only seen such results from BB creams. Love the sound of this product! maybe in our country are different shades…so.. do you know the webpage where will be show the all coulours of this foundation? because i cant find;( thanks for all!! @Anonymous: The only colour chart is this one here http://www.kryolan.com/en/index.php?cid=78&mnu=31&id=64 but it’s not very accurate. You’ll always be better off looking at them in person if possible! WOW! The coverage of the foundation is fantastic. I am SOLD! I use kryolan TV White :) Their products are great!! I use quite a few of their products for my VFX as well! iam oil skin ! !some time acne!! i dont know,…if pain skin is for me ?? ( my skin oil ) ?? you know==,..because dermacolor w1 is very pale yellow,.and iam pale not yellow!im pale understone pink very soft !! ;) thanks! !